Whether you are a professional photographer or a novice, Cam X will make you fall in love with your photos and videos. With real-time photo and video effects, mobile photography is in for a revolution! Use separate focus and exposure rings to easily control light in your shots. 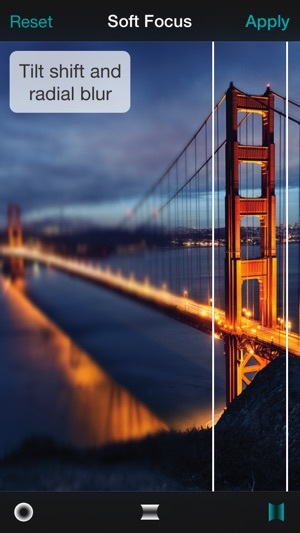 Use Horizon Level to eliminate crooked clicks and grid lines to perfectly align your photos. 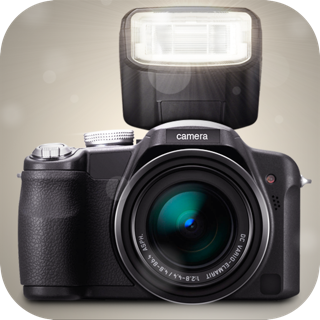 Enable low light boost for night photography or video stabilization to shoot magnificent videos. Pinch and zoom in up to 6X. Enhance your photos to perfection with numerous filters. Click a profile picture with the “Portrait” pack; make a live cartoon with the “Toon” pack; give a hand-sketched look with the “Sketch” pack; create a perfectly toned “Black & White” filters; or capture beautiful landscapes with the “Scenes” pack – all this and much more. Swipe to change filters or use the full screen filter gallery. What’s more, all the filters can be used to record videos as well, that too in HD. 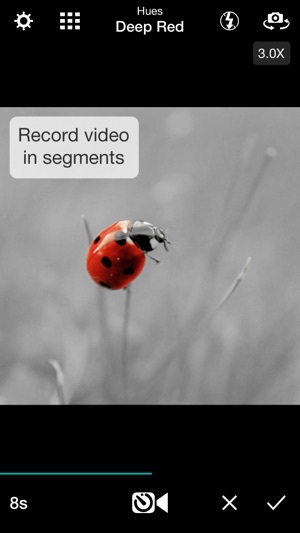 Use Short Video to record videos in segments like never before. Apply a different effect in each segment to bring out the best in your videos. You can also trim your videos easily. The Stabilizer mode helps you steady your iPhone and get the sharpest photos you can. Use customizable timer to capture high quality self-portraits. Switch to Snap Only Workflow to take rapid shots. 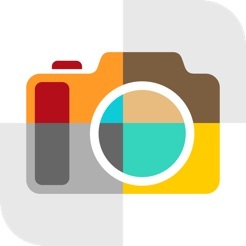 Use “Square” mode to take photos in square format. All your photos can be viewed in Cam X gallery. 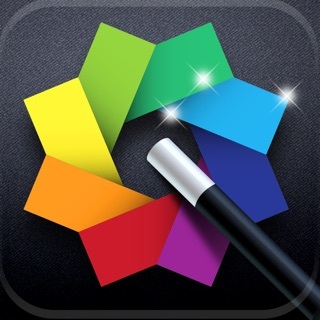 Select a photo and quickly enhance it using our filters. Gone are the days of importing photos first! 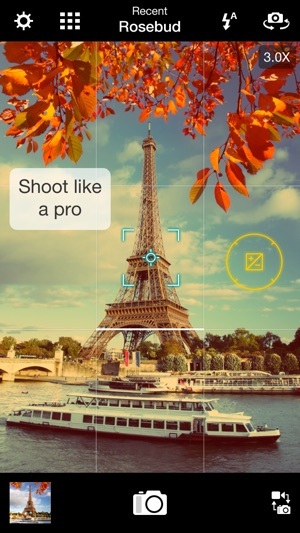 Cam X allows you to fine tune your photos in order to define the look you desire. Keep the subject in focus and blur out the rest to enhance your photos. With rotating and flipping tools, you can transform your photos the way you like. You can also quickly and easily crop them. 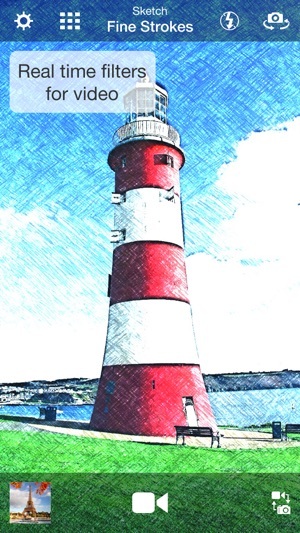 Compare your original image with the edited version by simply tapping the recycle button in Edit view. Another unique feature is auto saving of photos. 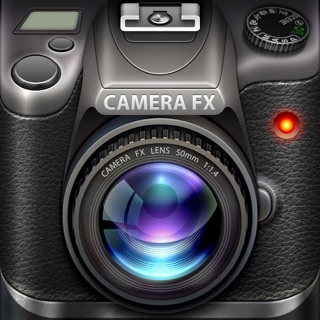 All edited photos and videos are automatically saved to Cam X album on your device. For photos taken from within the app, you can also save the original to enable future editing. Use the Snap and Share Workflow to quickly preview the clicked picture and share it before moving on to the next one. 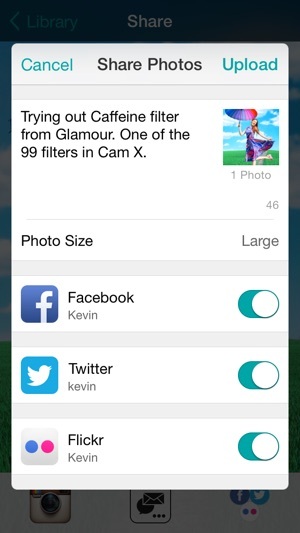 A simple swipe up lets you share your photos on multiple platforms at once – Facebook, Twitter and Flickr. 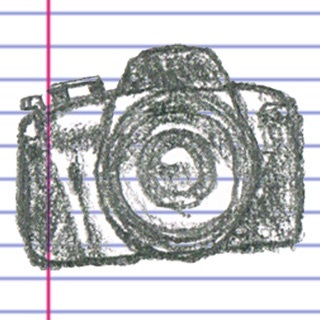 While Cam X uploads your creations in the background, you can easily move on to take more photos and videos. 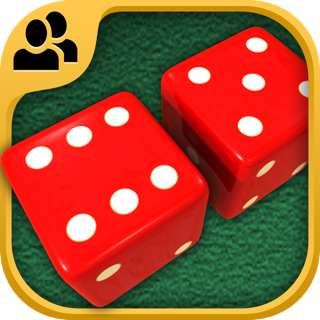 You can also go the more personal route and email or message them from right within the app. 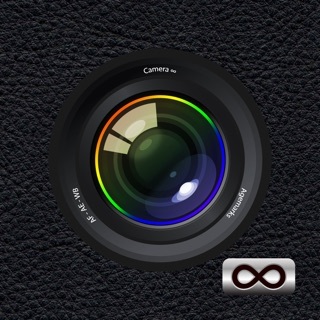 Get it for FREE today and revolutionize the way you take photos and shoot videos! Note: Videos are supported in iPhone 4S and newer. HD videos are supported in iPhone 5 and newer. Maximum photo saving quality is 3 MP for iPhone 4, 5 MP for iPhone 4S and 8 MP for iPhone and newer. Simple d'utilisation, assez complète avec les packs, il manque seulement la possibilité de mettre un cadre à la photo... moins chère ce serait encore mieux! De bons filtres et une interface facile d'utilisation ! © App Street Software Pvt. Ltd.